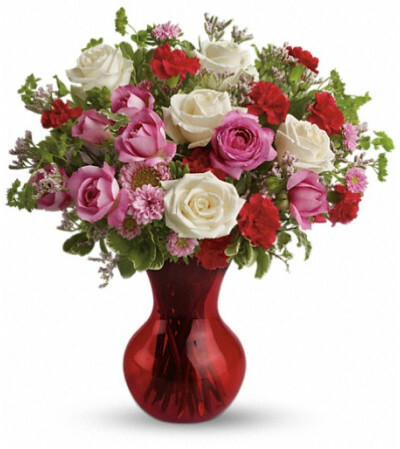 A sweet, traditional bouquet in a red-hot contemporary vase, it's a great way to make that surprise party even more so! 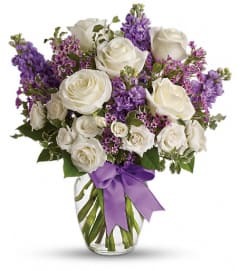 They'll love the gift, and you'll love the surprisingly low price tag. 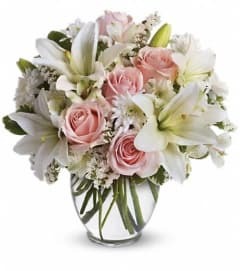 The enchanting bouquet includes white roses, medium pink roses, hot pink carnations, light pink matsumoto asters and lavender limonium accented with assorted greenery. Delivered in a sparkling red Serendipity vase.